Captain Beefheart's “Trout Mask Replica” album and his other landmark recordings were powered by John French’s unique drumming earning him the eternal sobriquet of Drumbo from the man himself. From 1964 to 1966, while in his teens, French gigged with the group Merrel and the Exiles (which had earlier included guitarist Jeff Cotton, known later as the Magic Band’s “Antennae Jimmy Semens”), then worked alongside Cotton in The Intruders and also The Allusions. In 1966, French and Cotton teamed with bassist Mark Boston (who would become “Rockette Morton”) in Blues in a Bottle, a group that was later joined by Bill Harkelroad (who’s moniker would soon be “Zoot Horn Rollo”). The armature of the colossal musical sculpture “Trout Mask Replica” was formed right there, albeit that Drumbo sang and played harmonica in Blues in a Bottle, never touching the drums. He returned decisively to the drums in October 1966, when Van Vliet asked him to join The Magic Band. This began his nearly 15-year working relationship with the demanding and mercurial Captain, a period marked by astonishing musical invention yet frequent and frustrating personal dissonance. In their debut LP, 1967’s “Safe As Milk,” Drumbo’s drumming exhibited an angularity and use of quasi-African rolling rhythms that were new to popular music. The approach was developed over the band’s next two records, “Strictly Personal” (1968) and “Mirror Man” (a record that was actually an early version of “Strictly Personal,” though not released until 1971), to often stunning effect. Drumbo’s work exploded on “Trout Mask Replica,” an album immediately hailed as a milestone. Beyond mastering the jagged rhythms, multiple time-signatures and unprecedented intensity that marked the record, French’s playing reconceived the drums as equal partners in the electric ensemble. No longer merely laying down time, French’s playing offered vastly creative counterpoints and counter-melodies, giving the record a punch and vitality that, to many, is still unmatched. Further, Drumbo served as the unofficial music director of the disc, transcribing and arranging Van Vliet’s knotty, often fragmentary lines and helping communicate them to the band. Yet despite this, Van Vliet excluded all credit for him on the record’s original pressings; listeners were treated to an album full of genuinely revolutionary drumming with no one listed as having played it. Then Van Vliet fired the man who many believe gave Beefheart’s music the rhythmic spark that was among its sovereign achievements, and that he was never able to recreate. After leaving The Magic Band for the second time, Drumbo linked with Harkelroad, Boston and others to form Mallard, which recorded two LPs in the middle 1970s. Allegedly, Beefheart's contractual problems forced him to join Frank Zappa's Bongo Fury tour in 1975 but as soon as he was able he reformed The Magic Band. 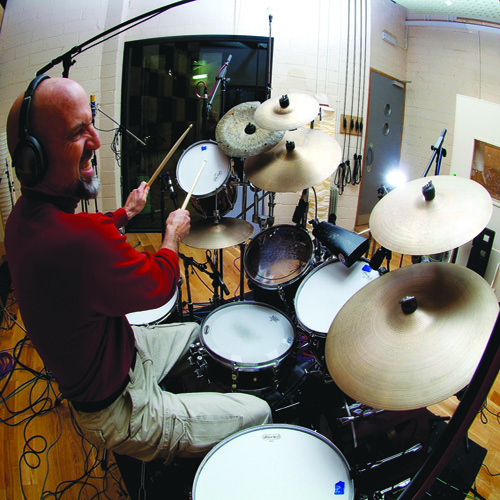 Drumbo was immediately recruited as both drummer and music director – although the resultant Bat Chain Puller album remained unreleased until 2012. French also played guitar as well as drums on some of these songs. He quit again when his friend John Thomas (keyboards) was sacked from the band. In 1980, Drumbo was hired yet again to take part in the recording of “Doc at the Radar Station”, playing guitar (and drumming on two tracks). Beefheart then handed him the Herculean task of learning 40 songs within three months causing John to pack it in again before the band went out on tour. After his final Beefheart departure came a venturesome mix of relatively short-lived projects, recorded while Drumbo played jazz at a local club to earn his living. One highpoint was 1987’s “Crazy Backwards Alphabet,” an incendiary album recorded with guitarist Henry Kaiser, bassist Andy West and vocalist/drummer Michael Maksymenko. Another striking collaboration was the quartet known as French, Frith, Kaiser and Thompson. The band was formed of the French/Kaiser team joined by Henry Cow founder Fred Frith and ex-Fairport Convention guitar virtuoso Richard Thompson. The group released two records: 1987’s “Live, Love, Larf & Loaf” and “Invisible Means,” from 1990. “ Waiting on the Flame” (1995) featured four tracks with Bill Harkelroad, while “O’ Solo Drumbo” featured no one else at all: it’s a unique album of unaccompanied percussion, recorded in 1998 and much of a cult item among Beefheart loyalists. But the record is not without precedent: in 1996, Drumbo was asked to give a solo performance by the London Music Collective, which was part broadcast by the BBC. In 2003, Drumbo spearheaded a long-sought reunion of The Magic Band and as drummer, arranger and de-facto manager, was a frequent visitor to the UK with the band through to the sold-out “farewell” tour in 2017. 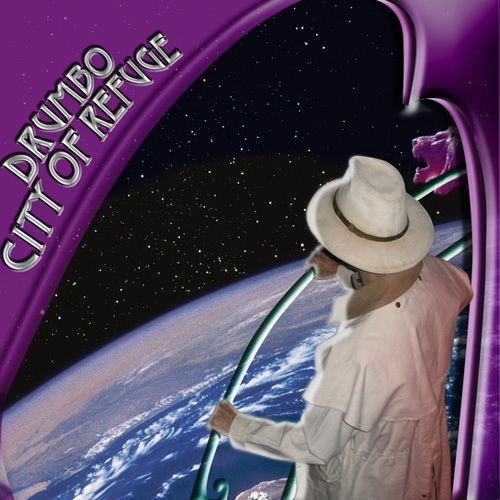 Drumbo’s 2008 solo album, “City of Refuge” featuring all his own material, provides sterling evidence that he was a massively important creative force in making the experience of listening to the music of Captain Beefheart and His Magic Band such a unique pleasure for those who know. The album features a band comprising Beefheart alumni Rockette Morton, Zoot Horn Rollo, Ella Guru Davidson and John Thomas. Drumbo with the Magic Band, 2003.